PRC Assam Application procedure, how to apply for PRC Assam online in a moment from home. Here you will get all details about PRC Assam application procedure. Issue a permanent residence certificate for higher education in Assam. 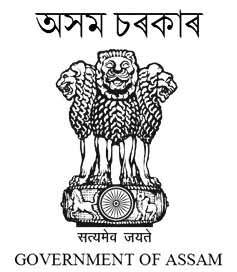 People can apply for PRC Assam from their home with E-district services of Assam. Assam government providing PRC Assam certificate for only education purpose where such certificate is insisted upon by the educational institution. Certificate issuing are as per existing provisions after due examinations by the deputy commissioners and sub-divisional Officers (civil) containing a clear provision that will be applicable only in respect of the specific recruitment of admission. 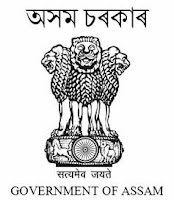 Providing PRC Assam (permanent residential) certificate to people for higher education through the relevant Deputy Commissioners of the District, within the stipulated time, the standard Guidelines, Procedures, Timeline, nominated public servants, Appellate authority, review authority documents required to submit as mentioned below for PRC Assam. In Assam application procedure for Permanent Residence Certificate now it’s very simple, you can apply for PRC Assam through E-district services from your home in few minutes for that you should have an E-district ID, you can check here how to create an E-district ID. Documents related to parents of continuous duration of 20 years. i) In the case of PRC for educational purpose and in the form of standard application form along with required documents by the applicant and specified in O / O Deputy Commissioner or SDO. Is presented. (Civil) related to copying. iii) After receiving the application O / o, the Deputy Commissioner / S.D.O. (Civil), within 3 (three) working days, it will be sent to the SP and Circle Officer who will complete the investigation process and within 8 working days of receipt of the application, there will be only one Deputy Commissioner. (For educational purpose) within the next 3 business days. First, you have to go Assam Government website and click on Online services from the tab. Fill-up all required column what asked from you. Now complete your payment with a minimum fee as per mentioned above, after that, an acknowledgment receipt will be generated from the portal and take a print out copy.